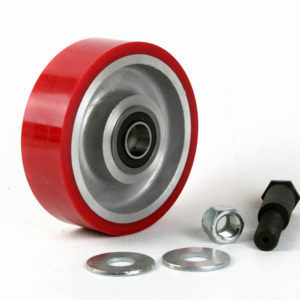 Elpro Guide Rollers for 15 to 30 lb. 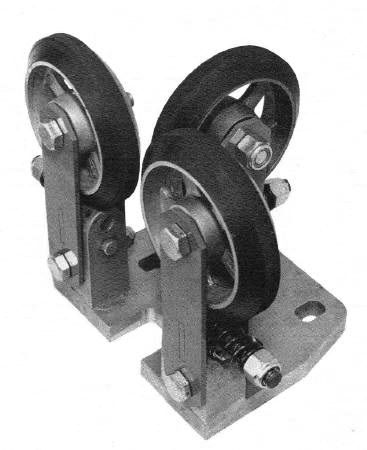 rails 1 set of 4 – Harris Companies Inc.
Model 36SRG. 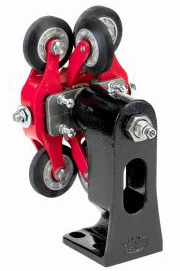 Adjustable spring loaded 3 wheel guides for installation as original equipment or in ride-improvement renovation. Moderate speed and Capacity. Long Mileage — Low Maintenance. No Fire Hazard — operates on dry rails. Built in adjustable stops. Fully adjustable for 15 lb. to 30 lb. rails. Height: 11”. Mounting Base Width: 9”. Overall Width: 13-1/4”. Depth: 8”. Shipping Weight: 21 lbs. 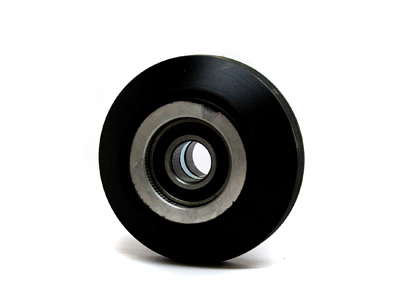 Wheels: Rolling surface: 1/2”. Diameter: 5-3/4”. 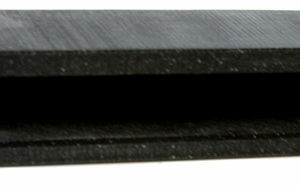 Bore: 5/8”.Mounting —Bolt Holes: Front-to-rear, centers: 3” (with 3/8” adjustment). Across, centers: 5-1/2”. Face of rail to front bolt holes: 2”. Rated Capacity: Gross load of 8500 lbs. per shoe.